Federal investigators supported a San Antonio whistleblower that exposed the unsafe handling of toxic asbestos at the Audie L. Murphy Memorial Veterans Hospital in south Texas. The worker, who has served as a maintenance mechanic and janitor at the South Texas VA Health Care System hospital since 1974, told federal authorities that hospital management for years failed to protect its workers from airborne asbestos, which can lead to deadly cancers such as mesothelioma. A U.S. Department of Veterans Affairs medical inspector conducted an investigation in 2014. This month, the U.S. Office of Special Counsel sent President Barack Obama and Congress a letter detailing the findings of the VA’s probe. The longtime maintenance mechanic, who requested anonymity, sounded the alarm on the government-run facility after witnessing several years’ worth of unsafe asbestos management practices. He claimed supervisors directed him and other maintenance employees, including plumbers, pipefitters and air conditioning mechanics, to perform their daily duties in areas known to contain asbestos. The worker added that none of his colleagues received personal protective equipment to wear while executing their jobs. He said they discarded construction refuse in regular trash dumpsters. On another occasion, that worker entered a room on a surgical ward and discovered a maintenance mechanic cutting into drywall in an area known to contain asbestos, specifically in the joint compound. After questioning, the mechanic responded that he was obeying the supervisor’s orders. In a third event, the whistleblower and another employee witnessed contractors taking samples of pipes in the pump room to test for asbestos. They not only lacked protective equipment, but also weren’t utilizing wet methods to limit contaminated dust going airborne. Furthermore, supervisors failed to notify four employees in the pump room about the asbestos sampling. Lerner said investigators substantiated all his claims, except assertions that hospital officials knowingly placed employees in danger through asbestos exposure or that VA managers possibly exposed all hospital employees, patients and visitors to the deadly mineral. During the investigation, the VA’s Medical Inspector found hospital management compromised the maintenance worker’s health. The man’s 2005 chest radiograph found an abnormality that indicated asbestos exposure; however, he was not removed from additional on-the-job asbestos exposure. “The Medical Center failed to correctly interpret the whistleblower’s chest radiographs,” the letter showed. After the numerous asbestos violations came to light, hospital officials accepted the VA medical inspector’s 15 recommendations. Remove whistleblower from any duties that could lead to additional asbestos exposure. Develop a process for updating all three facility blueprints as abatements are completed and documented. Implement a process for maintenance and operations staff to determine asbestos contamination in an area before start of work. Perform air monitoring to assess risk and occurrence of exposure to asbestos. Ensure all maintenance and operations personnel receive respiratory protection in accordance with the Occupational Safety & Health Administration standards. Provide asbestos awareness training as required by law. Review all maintenance and operations staff for evidence of past asbestos exposure. Perform personal exposure monitoring on all current maintenance and operations staff possibly exposed to asbestos, as well as notify them individually of the results. Provide medical surveillance for all staff with exposure levels greater than permissible exposure limits. 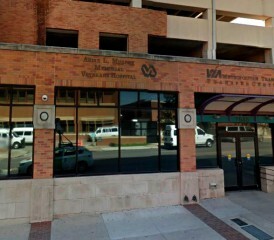 VA officials conducted a follow-up visit to investigate other concerns. They said all 15 recommendations were completed, but added a handful of other suggestions hospital officials agreed to implement. “This matter is now closed,” Lerner wrote.